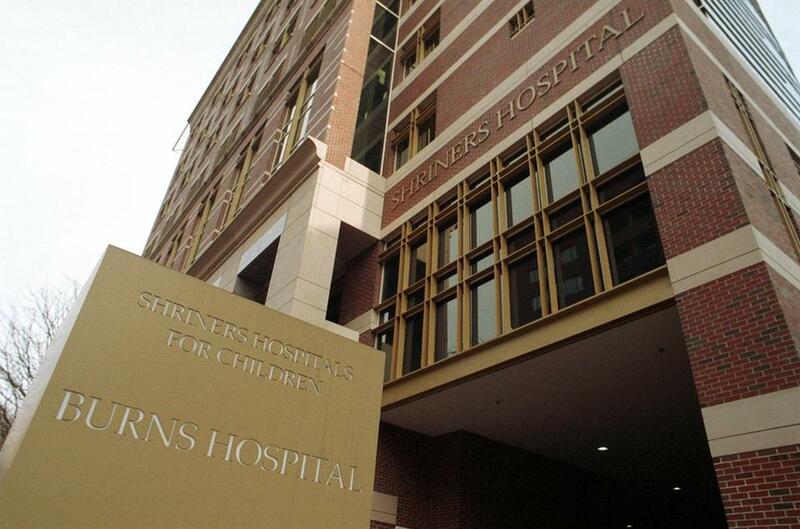 Shriners Hospitals for Children, which for decades has treated children from the United States and other countries with complex and life-threatening burn injuries, is considering a plan that could include ending burn services at its Boston location. Advocates for children with burn injuries said they were devastated about the potential loss of services at Shriners’ Boston hospital, and they worried that some children may have to go without necessary care. Hospital officials provided few details and declined to answer questions about the plan, which is not final. But they said the number of acute burn injuries in US children is declining — thanks in part to better prevention efforts — which led them to reevaluate the services they offer. “Shriners Hospitals for Children’s Boston and Cincinnati hospitals are both part of a proposed consolidation plan for acute pediatric burn care which, if approved, would impact the delivery of inpatient care at each of these hospitals,” Shriners Hospitals spokesman Mel Bower said in an e-mail. Hospital officials did not say whether they are considering closing the Boston location entirely, or if the plan is to cease offering some services and keep others. Shriners’ Boston hospital also offers plastic surgery and treatment for cleft lip and palate, but most patients go there for burn care. The most severely burned children may need to spend weeks or months in the hospital. The Boston hospital, which is next to and affiliated with Massachusetts General Hospital, is one of 22 hospitals in the Tampa-based Shriners network. It is one of only a few Shriners hospitals that treat burns, and it is the only verified burn center exclusively for children in New England. Boston Children’s Hospital does not have a burn center, though it treats children with many other complex issues. The Shriners system includes a hospital in Springfield, but that location doesn’t treat burns. Severe burns that cover most of a patient’s body can be fatal, and for those who survive, recovery can include many years of grueling surgeries and other follow-up care. “Closing of any of the Shriners burn centers would be devastating to the pediatric population, who are among the most vulnerable patients,” said Tanya Sorkin, chief program officer at the Children’s Burn Foundation in Sherman Oaks, Calif. The foundation assists families who need burn care, directing them to hospitals that offer the treatments they need — including the Shriners hospital in Boston. For example, she said, the foundation helped a boy from Ukraine with severe electrical burns get to Boston, where he survived after months in intensive care. Shriners Hospitals are unusual in that they draw most of their funding from an endowment. They did not start billing for services until about seven years ago. The system’s Boston hospital opened in 1964, as a unit of Mass. General; it later moved into its own space next door, growing to 30 beds. Mass. General physicians still provide the medical care for Shriners patients under a contract between the two organizations. Dr. Jay Austen, chief of plastic and reconstructive surgery and chief of burn surgery at Mass. General, said he understands that people are worried about the possibility of losing the services Shriners provides in Boston. But he said Mass. General would find a way to fill the gaps. “If [Shriners] magically disappeared tomorrow, we would take great care of these children. We’d find a way,” Austen said. “It is a very special and unique organization. We are all hopeful that [Shriners] will find a way to continue their incredible [work],” he added. The number of adult patients treated by burn specialists at Mass. General has been increasing steadily, to about 2,900 patient visits last year. Mass. General surgeons performed 644 procedures on burn patients last year, Austen added. This included surgeries to remove burned skin and to repair damaged skin, sometimes by grafting. Shriners officials did not provide any patient numbers to the Globe. Nationally, the rate of burn-related inpatient hospital stays fell about 35 percent between 1993 and 2013, according to federal government data. A patient today is also much more likely to survive burns that cover most of the body, compared with several decades ago, when such injuries were more often fatal. But burn injuries can be life-altering, causing permanent changes to a patient’s appearance and difficulty with daily activities. Shriners Hospitals also runs burn centers in Texas, Ohio, and California. Hospital officials said a final plan for burn care would be approved in July, at a large gathering of voting members of the Shriners fraternal organization in Daytona Beach, Fla.